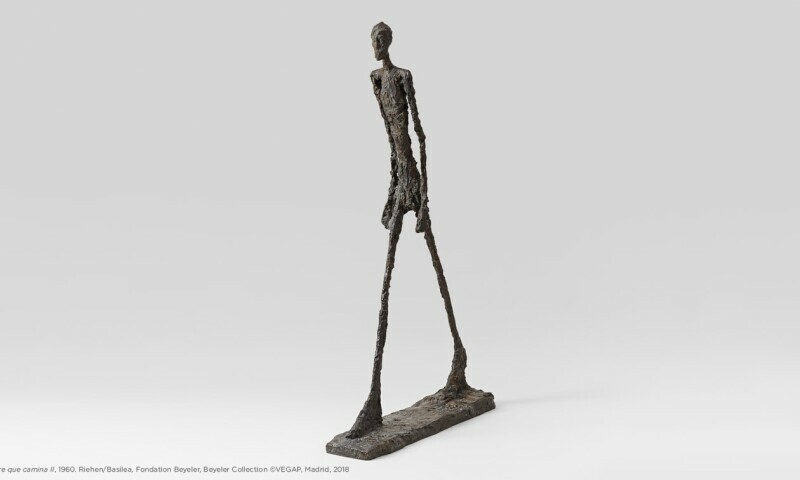 Alberto Giacometti, Walking Man II, 1960. Riehen/Basilea, Fondation Beyeler, Beyeler Collection © VEGAP, Madrid 2018. Among the activities to mark its Bicentenary, the Museo del Prado is intending to emphasise its role as a place of inspiration for the great masters of the 20th century. On this occasion it will be showing the work of an artist who never visited the Museum, presenting the work of Alberto Giacometti in dialogue with key works from its collection. The exhibition will be curated by Carmen Giménez, Stephen and Nan Swid Curator of 20thCentury Art at the Solomon R. Guggenheim Museum in New York, and will be installed with the Central Gallery of the Villanueva Building as its principal axis. This project is benefiting from the special collaboration of the Beyeler Foundation in Basel and the Comunidad de Madrid, and from the support of Embassy of Switzerland and Mirabaud.